F4P International has had significant international reach, facilitating the participation of over 8,000 children, 600 coaches and many community leaders in countries including Israel, Jordan, Palestine, Ireland, South Africa and South Korea. 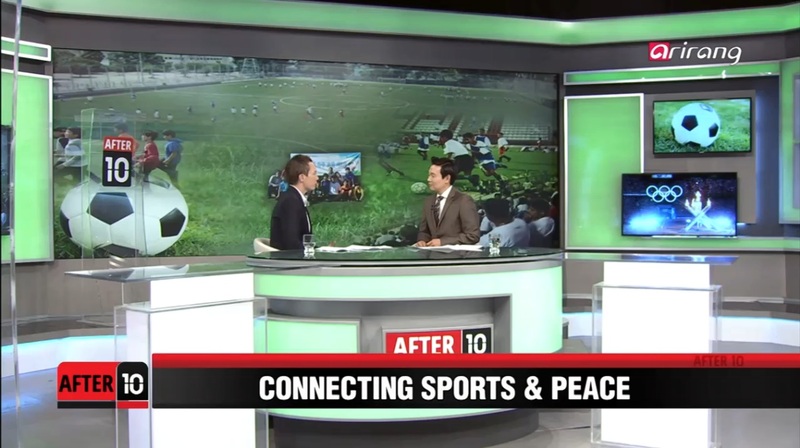 Effectively transferring research into practice, the Football 4 Peace programme has had an impact by creating social transformation through the promotion of intercultural understanding, changing the policies of sporting organisations, inspiring peace ambassadors and shaping political discourse. Each of these areas were mentioned in the 2014 Research Excellence Framework. Research Excellence Framework (REF) is the new system for assessing the quality of research in UK higher education institutions. Beside the academic performance and research outputs, it also assessed the impact of research beyond academia. Football4Peace was selected as one of the three main case studies, which contributed to the University’s ranking as the 14th top university among 50 submissions in the panel Sport & Exercise Sciences, Leisure and Tourism, which is the highest subject-table ranking in UoB. Read the full F4P case study here. The Israeli Sports Authority (ISA) has adopted the F4P programme in many different locations and the F4P child-protection training programme has been adopted as policy by the ISA, where previously no such procedures were in place. The Director of Football Development at the Irish Football Association (IFA) described his experience of F4P as ‘eye-opening’ in relation to values of inclusion, basing the IFA’s grassroots programmes ‘on the values and principles of Football 4 Peace, embedding these values in coaching reaching thousands of children throughout Northern Ireland’. F4P coaching values-based coaching methodology has been adapted for the IFA National Youth Strategy 2015-2015. The Head of International Relations at The Football Association (England) has observed that F4P shows how ‘football can be used as a vehicle to bring people and communities together’ matching the FA’s vision of ‘using the power of football to build a better future’; its emphasis on ‘teachable moments’ has been adopted at grassroots level by the Derby County (Football Club) Community Trust, for example, to engage disaffiliated youth. 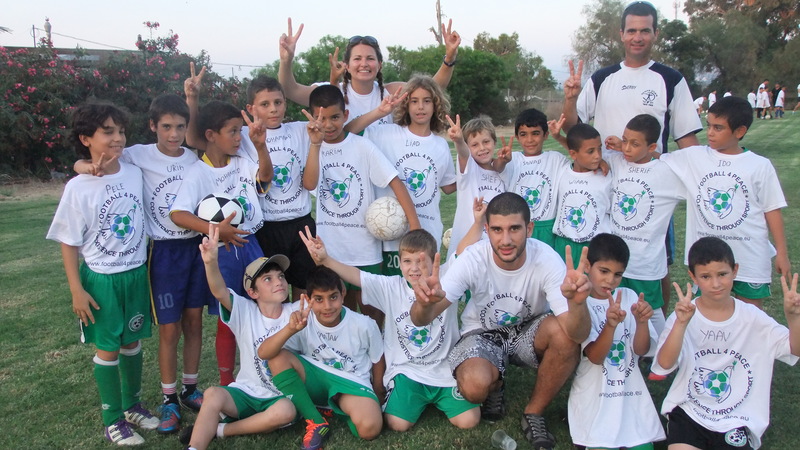 In Israel over 8,000 children from 40 Arab and Jewish communities benefited from F4P. 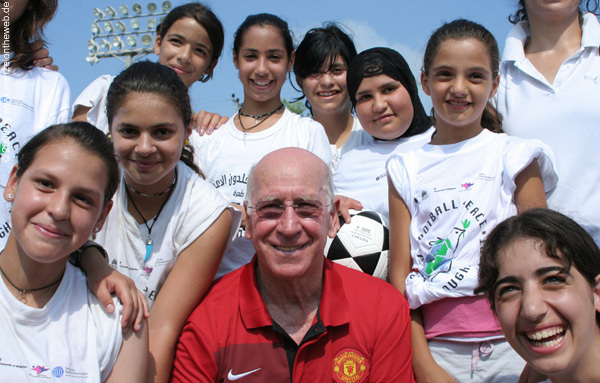 In 2009 Sir Bobby Charlton and the Manchester United Foundation sent coaches out to be trained and to volunteer in Israel. He reported on this as follows: ‘Using football to bring different people together is an approach that we endorse as part of our community outreach at Manchester United. I am delighted to be extending this philosophy to Israel. It is a privilege to be working with Arab and Jewish youngsters and to be a part of Football 4 Peace project’. 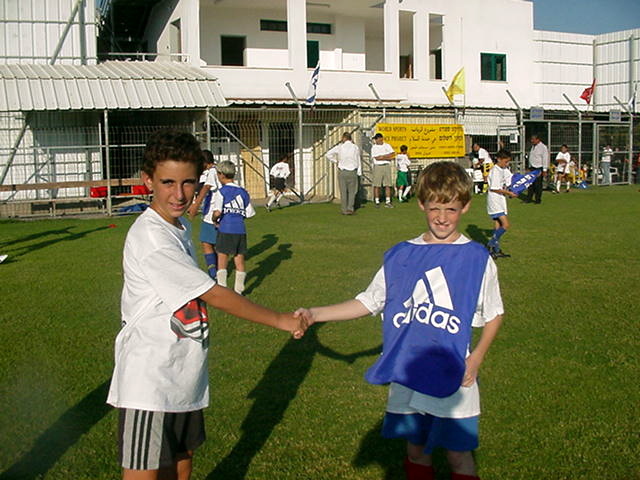 In 2010, the model was implemented in Palestine (100 children and 8 coaches) and Jordan (300 children and 16 coaches). It has been adopted in the Republic of Ireland and Northern Ireland, where the Pilot Programme (‘Gateway’ project) involved ten schools. Renamed F4P Ireland in 2008, the scheme involved a further 11 schools in the first three years of the full project, with 15 clubs and 60 coaches. In 2013, in collaboration with the University of Ulster and Derry City Council, F4P ran an international residential training camp for 90 participants. The model has been used in Gambia, South Korea, South Africa and Germany and the coaches’ feedback showed improved understanding of values. The high impact of the project in political debate is evidenced in the F4P Director’s invitation to the UK Prime Minister’s dinner/reception at 10 Downing Street (December 2009), on the visit of Israel’s President Shimon Peres. The profile of our F4P work was further enhanced through the endorsement of the President of the Republic of Ireland Michael D. Higgins when he visited a F4P international training camp in Derry/Londonderry in March 2013, hosted by Football4Peace Ireland as part of the City’s programme of events as UK City of Culture 2013. The F4P Project Director has contributed to debate on the security and defence agenda at NATO, in the context of cultural relations, conflict prevention and resolution. Several film documentaries have been made of the Israel F4P initiatives as well as one focusing on implementation of the model in Ireland; many news/media/press features have reported the projects, including a television feature in Korea.